Ahead of next week’s annual Electronic Entertainment Expo bonanza in Los Angeles, French games maker Gameloft is teasing Siegefall, its forthcoming mobile game from the same team that brought you the first four installments of Modern Combat, the popular first-person shooter franchise. 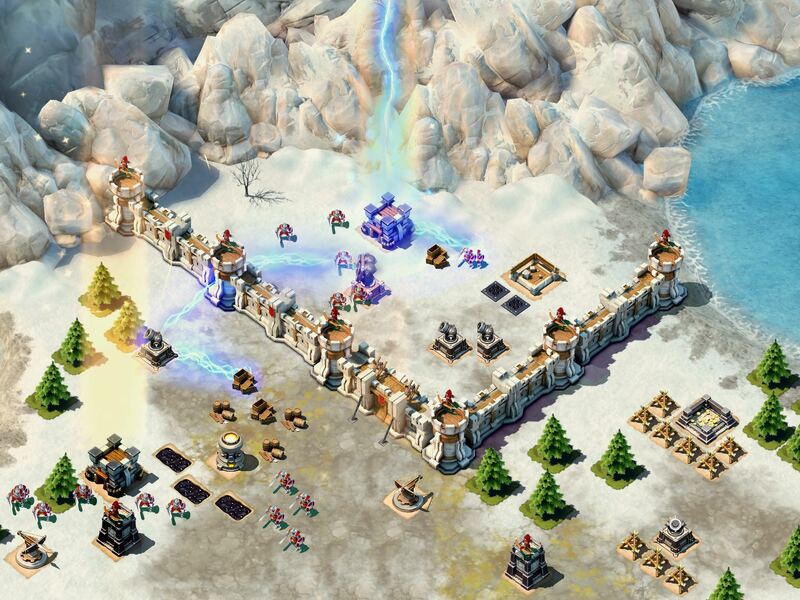 In Siegefall, you arrive in a realm where battles are being fought over lands and crowns. In Siegefall, you’re tasked with building an unbeatable army of controllable heroes to begin your reign. The online multiplayer strategy game sports a bunch of enemy challenges and features certain aspects of card-trading games so expect a bunch of magic cards to boost your stats and more. Matt Cobuzio came up to Gameloft Studios in Montreal and got an early look at Siegefall, check out his video below for some incredible-looking gameplay footage. Gameloft will be demoing Siegefall at E3 next week. Amass legions of specialized troops including sneaky rogues, horrifying trolls, and heavy-fisted knights. Deploy your army and directly control your Hero in battle to exploit enemy weaknesses. Master dozens of Magic Cards you can win or loot, the unleash them to freeze foes, launch explosive boulders, and conjure fearsome Dragons. War is expensive! Build mines, sawmills, farms and more to keep your kingdom’s economy running. Defend your kingdom with strategically placed defense towers, explosives, traps, barricades and walls to ward off greedy invaders. 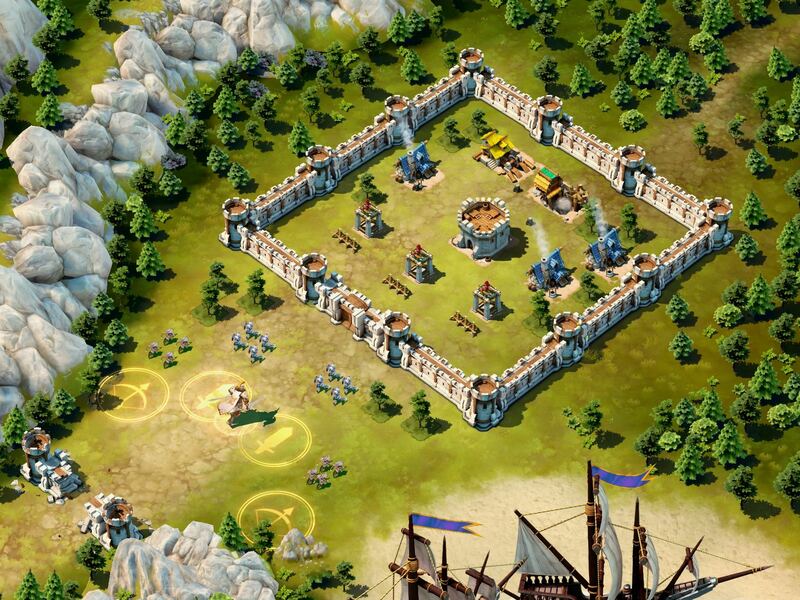 Battle with players worldwide and besiege their castles for resources. Unique Heroes: Unlock rival leaders and their abilities as you progress in the solo campaign. Always choose the right hero for the job. Amazing graphics with stylized art that makes battles epic to watch, while making units and buildings easy to identify. The game will be coming to the AppStore, Google Play and Windows platforms “very soon” and we’ll have a detailed preview once more information is released. I’m not a big fan of multiplayer strategy games, but Siegefall sure looks wonderful and I think I’ll be taking it for a spin when it’s released.